Cervical spinal rheumatoid arthritis is a particularly severe and uncommon form of arthritic disorder that causes inflammation and damage to the spinal joints of the neck region. RA is not age-related and is not a normal and expected component of the aging process, as is osteoarthritis. The neck is one of the worst anatomical locations to suffer symptoms of RA, since the neck must bend and flex frequently, which can cause unbearable pain for victims of this cruel autoimmune disorder. Worse still, treatment options are limited, often highly risky and rarely satisfying in their outcomes. RA remains an enigma in medical science, as do most autoimmune diseases. The more doctors study these diseases, the more perplexing they seem, since few verifiable facts have been ascertained about this mysterious class of health conditions. This essay seeks to provide guidance for patients who suffer from rheumatoid arthritis in the neck, as well as details the condition from a unique mindbody perspective that is rarely discussed in general medical science. 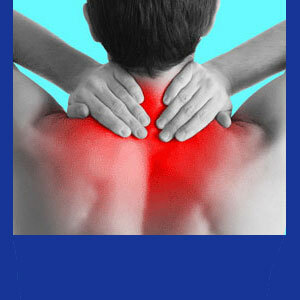 RA is different from all other types of arthritis normally found in the neck. Its consequences are often visible through the skin, since it creates distorted joints that are inflamed and often protrude. Many people with spinal RA demonstrate severely hypertrophic joint formation, with the various spinal joints affected in one or more regions. However, some patients do not express a visual presence of RA, yet still suffer terribly from internal joint deterioration. Regardless of its degree of visual presentation, RA actually damages the joint structure, often permanently. However, the degree of damage varies from joint to joint, location to location and patient to patient. In fact, there is no real way to know how RA will progress, whether it will stabilize organically or whether it will worsen or improve with time. All these clinical profiles are possible and commonly seen. RA involves chronic joint pain, often exacerbated by movement of the region. 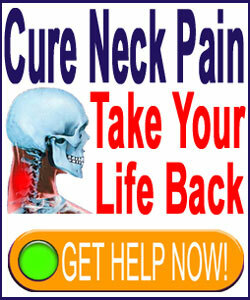 Of course, in the neck, this means constant irritation to the already inflamed and painful joints just to facilitate any semblance of typical head movement. RA is a primary cause of disability, especially when it affects large areas of the body or vital primary skeletal zones, such as the spine. There is no known universal reason for rheumatoid arthritis to develop. There have been many theories embraced over the years which point the blame towards various factors, including hereditary, bacteria, contamination, disease, inoculation and mindbody contributors to the development of RA. Few, if any of these suspected villains have been proven to cause RA, with the exception of some genetic components that seem to exist in the majority of affected people. RA is generally treated by rheumatologists, but also may be considered a specialty of some orthopedic physicians, some chiropractors and some disease specialists. Depending on a doctor’s background and experience, some factors may be embraced more than others when it comes to blaming certain potential causations of the disease. Some mindbody medicine practitioners have cited that all autoimmune disorders seem to have a universal psychogenic component to their origin, exacerbation and even eventual cure, in some very lucky patients. While this conclusion remains controversial in traditional medical circles, the evidence of a mindbody link in all matters of health and disease seems to be obvious and conclusively accepted. Therefore, the propagation of this theory continues and gains ground even among Cartesian traditionalists each year. Technically, RA can be strikingly similar to other autoimmune diseases, such as lupus, gout and spondylitis. Rheumatoid arthritis is also unfortunately all-too-commonly misdiagnosed as one of these alternate health problems, and vice versa. Fortunately, surgery for RA is not commonplace and when it is undertaken, is usually focused on minimally invasive modalities that are needed to preserve neurological functionality after the cervical spine suffers from RA-related stenotic changes or mechanical joint pain issues. However, this is about the only good news for patients when it comes to rheumatoid arthritis treatment. The vast majority of RA care is rendered using oral or injectable drugs. These substances fall into many categories, from pain management pills to anti-inflammatory agents to muscle relaxants to the specialty drugs of choice for RA specialists: DMARDs. Disease modifying anti-rheumatic drugs were created to battle diseases such as RA, but do so at a terrible price. Side effects can rival the arthritic condition itself and may even be worse than the actual RA in some instances. Some patients demonstrate extreme sensitivities to these drugs, which usually do not become apparent until they have been used and have already done their damage. Even the less-harmful substances used, such as the narcotic analgesics, are awful from a health perspective, so one can only imagine the overall burden placed on an already compromised system when a patient must ingest up to a dozen different drugs regularly and simultaneously. If RA drugs were curative, much akin to chemotherapy, they might be worth the finite downside in order to be rid of the rheumatoid disease. However, drugs almost never put RA into remission, although many patients do stabilize after chemical therapy. There are surely benefits to pharmaceutical care, but these are not without their precious cost, as well. This is something for patients to consider carefully and discuss openly with their doctors when planning for treatment, especially over the long timelines needed to live with severe RA. Alternative and complementary medicine might also be useful to patients and is certainly almost universally far less risky than the more traveled drug path. Acupuncture, massage, chiropractic, trigger point therapy, dietary alteration, herbal ingestion and many other treatments have been cited as being rewarding and benevolent by patients who have suffered under the usual pharmaceutical routine. Meanwhile, other patients have reported great results using purely mindbody therapies, such as knowledge therapy, to counteract the possible psychogenic factors that might be involved with causing, worsening or extending the torturous symptomatic syndrome that is RA.